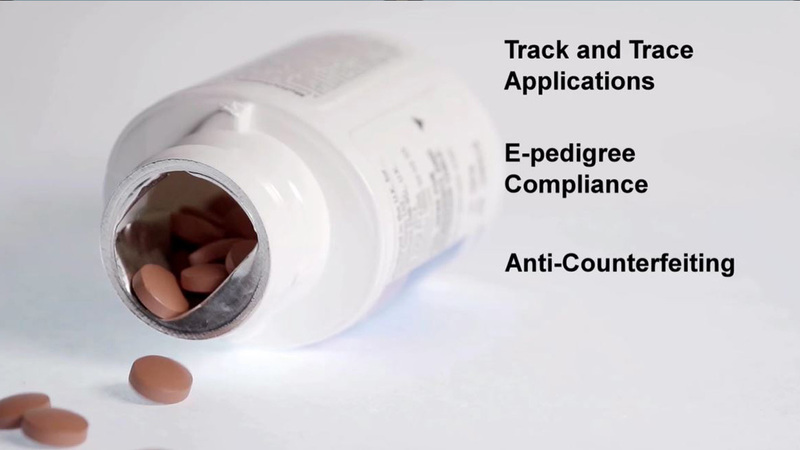 eSeal - Smart Packaging - eAgile Inc.
eAgile’s eSeal™ Radio Frequency Identification (RFID) solution solves many of the security concerns surrounding the nearly one trillion caps and closures consumed annually by the pharmaceutical, nutraceutical, healthcare, medical, cosmetic and chemical manufacturers. Brand owners in these industries require smart or intelligent packaging solutions to combat diversion, counterfeiting and product tampering. Integrating RFID smart packaging directly into sealed caps and closures provides the benefits of item level intelligence typically achieved by applying RFID tags to the outside of the package or inside a product label with a more discrete and tamper resistant solution. eSeal can operate as a stand-alone device or in conjunction with other security technologies. RFID enabled smart packaging caps and closures verify the contents of heat induction sealed containers to ensure the product is genuine, not part of a recall, within the expiration date and has not been tampered with or diverted. Extending beyond the functionality of barcodes, eSeal tagged products can be verified without removing them from bulk packaging or cartons. RFID smart packaging reaches beyond the supply chain to create unique brand interaction and marketing opportunities with customers through their NFC enabled mobile devices. RFID tagged intelligent packaging bears a secure and unique identification id encoded to the RFID chip or inlay of the passive UHF tag within the heat induction seal of the cap and closure. This data can be automatically identified by RFID readers and associated to work orders, printed barcodes or serialized packaging data for track and trace applications, e-pedigree compliance, anti-counterfeiting and logistics management originating at the plant floor and extending to the retail shelf and beyond. 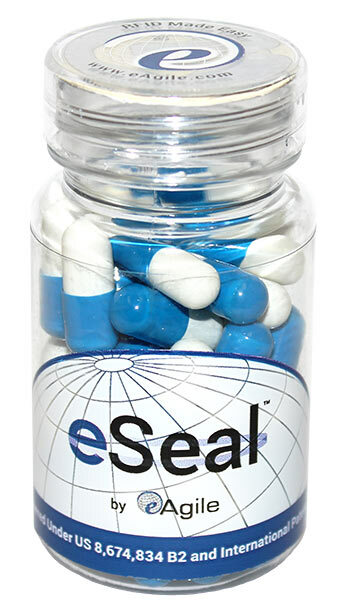 eSeal is engineered to replace current cap and closure specifications with RFID enabled intelligent or smart packaging which is easily introduced to pharmaceutical, nutraceutical, cosmetic, and chemical filling lines. eSeal is available with the chip or inlay encoded and customized to the specifications unique to your application. RFID readers, antennas, sensors and software integration services ensure a seamless installation and your collected tag data is captured and recorded to your current SAP or ERP system’s database. Need an RFID solution? Let eAgile make RFID easy for you. Contact us using the form below for more information.